How would you feel if someone stole your bike? First, you might feel like you were in an episode of the “Twilight Zone” – total disbelief, and then you would probably get angry. The feeling of violation is something bicycle theft victims never forget. Even in a small town like Juneau, bike theft is common. The Juneau Police Department (JPD) reports that 110 bikes were reported stolen in 2015, which is an increase from 2014. Only 14 were recovered. Often bikes are taken, ridden somewhere, and abandoned. Unfortunately, even if you lock your bike, it could still be stolen. But don’t despair. There are a number of steps you can take to reduce your risk of theft and, if your bike is stolen, to increase the odds that it will be identified and recovered. Know your bike’s serial number. Did you know that your bike has a fingerprint? Every bicycle has a unique serial number, usually inscribed on the frame under the bottom bracket (where your pedals and crank arms attach to the frame) If you haven’t already done this, stop reading right now and go take a photo of your bike’s serial number or write it down. (Read these tips for finding your serial number from the Bike Index). Knowing your serial number makes it much easier to legally repossess your bike, should you locate it after it’s been stolen. Thieves may remove parts and accessories, even repaint the bike, or there may be other bikes in town of the same make and color. Keeping a record of your serial number will help you to prove that the bike is yours. Register your bike. Once you know your serial number, the next step is to register your bike. JPD has operated a bike registration program since 2007. The registration form can be found on JPD’s website. 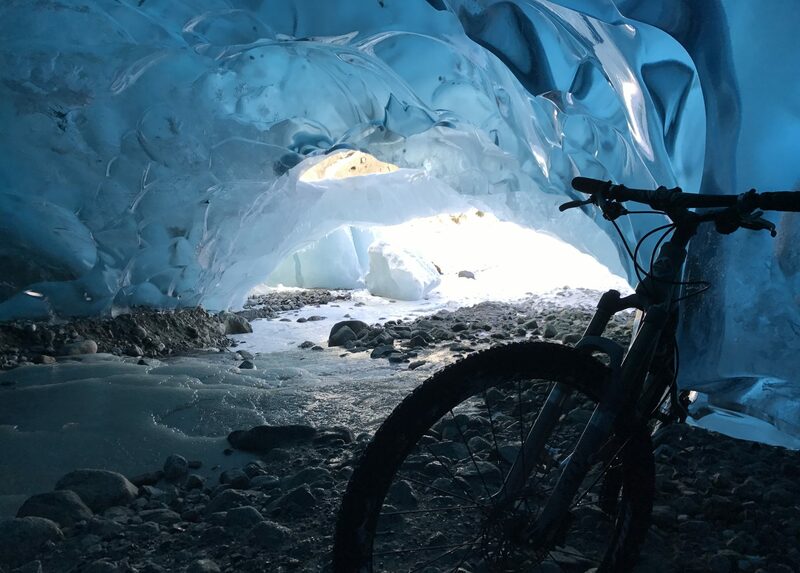 When Juneau officers recover a bicycle, they query their registration database to try to identify the bike’s owner. There are also a number of national bike registries with searchable databases to aid individuals and law enforcement in reconnecting bikes with owners. Project 529: You can register your bike’s serial number, upload pictures, and itemize aftermarket parts to make insurance claims easier. For $10 you can purchase a label with a unique identification code provided by Project 529. The Bike Index was founded in Chicago, where it helps recover approximately 10 bikes a week. The free index is easily searchable by geographic region. Two bikes were reported stolen in Juneau on this index in 2015. The National Bike Registry: The National Bike Registry (“NBR”) is a private site only searchable by authorized law enforcement and registered bike owners. JPD works with the National Bike Registry and has access to the NBR’s database. For a small fee, you can register bikes for up to 30 years, and registration is transferable to new bikes for the length of the term. With online registration you will receive a certificate of registration and an “engineered, tamper-proof label” to apply to your bike. Lock your bike. Pay attention to where you lock up your bike, the type of lock you use, and how you lock it. See our post on How to lock your bike for more information. Up and Coming Technology: GPS Tracking. Depending on the value of your bicycle, you might consider investing in a GPS tracker for your bike. Mobile device-enabled GPS tracking devices are becoming more available and affordable these days. Models vary widely, but most will send you a text message letting you know that your bike is being moved, and map your bike’s whereabouts in real time. Report theft to JPD. If your bike is stolen, JPD recommends that you phone in your report to Dispatch at 586-0600. Check used bike vendors. The thief may try to sell your bike on eBay, Craigslist, or the Facebook group Juneau Buy-Sell-Trade. Keep an eye on these sites in the weeks following the theft. You can set up an alert on ebay or Craigslist that will notify you if a bike is listed using selected keywords. Visit pawn shops – some may require your serial number to release a bike. Watch the roadsides. Juneau bikes are frequently stolen, ridden a few miles, and then abandoned, so it can’t hurt to check along Thane, Douglas Highway and Old Glacier Highway. Report stolen or abandoned bikes. If you see a bike that appears to have been abandoned, you can pick it up and report it to JPD (586-0600), or JPD can retrieve the bike. If you pick it up and if the owner doesn’t claim it after a certain period of time, you can keep the bike. If JPD has the bike and it is not claimed, JPD will donate it to a non-profit or dispose of it. The city of Juneau suffers from a severe lack of adequate bike parking infrastructure, despite demand. Frequently, bicycle parking is poorly designed, poorly placed, or non-existent. This shortfall results in increased bike theft and deters people from riding to locations where secure parking is unavailable. Juneau Rides is working with city and state officials to improve and expand bike parking infrastructure in Juneau by encouraging the installation of secure, well-designed bike racks and bike corrals. As more parking options become available, properly locking your bike will become easier. However, it is still up to us, as bike owners, to take some basic steps to keep our bikes safe from thieves. Where is this JPD report of 2015 bike thefts? I can only find the FY14 report. Thanks for the nifty tips. I’m not sure if the 2015 report is in a published form. Alice told me she contacted JPD directly to get the 2015 numbers. If we find a digital copy somewhere, we’ll update the story and let you know! 1) if you have a phone with a camera, take a picture! 2) call JPD’s non-emergency number 586-0600 and ask for the dispatcher. You should do the same if you see someone abandoning a bike in a ditch, which is where these thieves of convenience usually throw them.